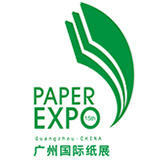 The International Pulp & Paper Industry Expo China, the thematic exhibition areas show new product and innovative technology of paper-making industry chain and include pulp and papermaking technology, paper-making chemicals, various kinds of paper like paperboard, corrugated paper, specialty paper, office paper, art paper, packaging paper, kraft liner, waste paper, and so on. AFRIGLASS 2019 is unique event in the East Africa market. Having being branched out from BUILDEXPO, AFRIGLASS will be the largest event for the glass market in East Africa. The glass industry in East Africa is on a globalization drive and is now providing the African consumers a variety of glass products sourced domestically as well as internationally. In the context of the reduced import duty, the globalization drive is gaining momentum. AFRIGLASS 2019 will be your window to meeting high-level buyers with-in the African Industry. As an exhibitor, the show will offer you the chance of increasing your market at the heart and hub of the industry. With the magnificent success of 31st Materials Science and Engineering Conference: Advancement & Innovations, ME Conferences is proud to announce the 32nd Materials Science and Engineering Conference: Advancement & Innovations, to be held during October 14-15, 2019 at Bali, Indonesia. On this auspicious occasion, the Organizing Committee invites the participants from all over the globe to take part in this annual flagship conference with the theme “Sustainable new materials and recycling technology”. MatSciEngg 2019 aims in proclaim knowledge and share new ideas amongst the professionals, industrialists, and students from research areas of Materials Science, Nanotechnology, Chemistry and Physics to share their research experiences and indulge in interactive discussions and technical sessions at the event. The Conference will also have a space for companies and institutions to present their services, products, innovations and research results. Pour répondre aux enjeux d’un marché en pleine mutation nécessitant une vision globale et transversale de la construction, ces trois salons mettent en scène une offre exhaustive et unique de matériaux, équipements et matériels, technologies, solutions et services. L’événement satisfait les besoins de tous les professionnels du secteur – entrepreneurs généraux, artisans, installateurs spécialisés, fabricants, distributeurs et négociants, architectes et prescripteurs, maitres d’ouvrage et gestionnaires – œuvrant pour la construction, le confort thermique, l’aménagement intérieur et les nouvelles salles de bains.